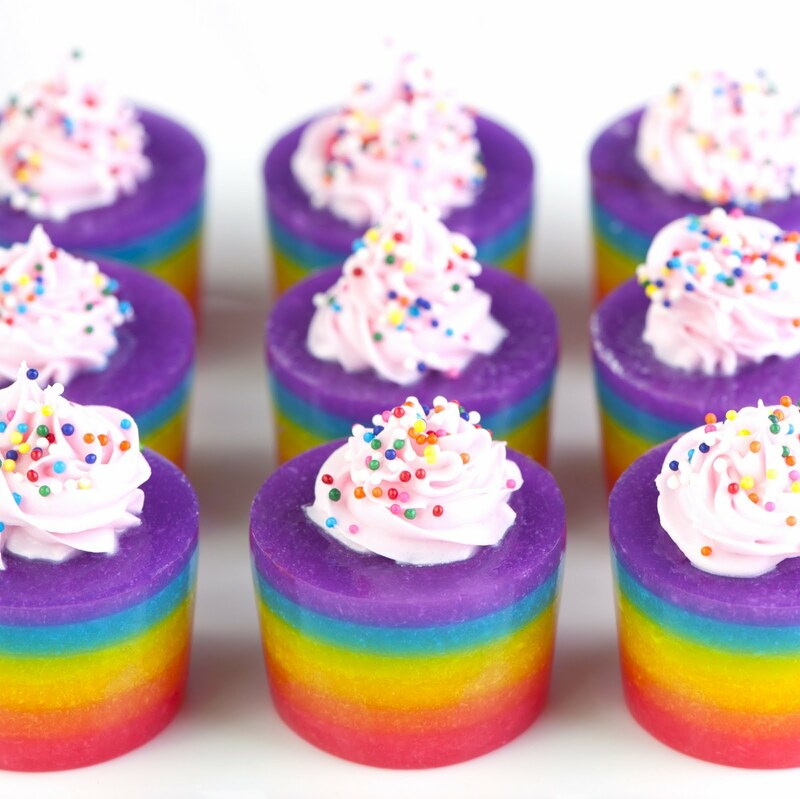 Rainbow Cake Jelly Shot. Its all about the rainbows. And PINK frosting. Sprinkles don't hurt either. . .
Quick post. Because the prescription for a long holiday weekend is indeed F-U-N, because I loves youse . . . and also because of this jelly shot's overwhelming adorableness was so excited to share this CAKE-inspired jelly shot. Check it out - hope you enjoy! Pour lemonade into a small saucepan and sprinkle with gelatin. Allow to soak for a minute or two. Heat over low, stirring constantly, until the gelatin is dissolved (about 5 minutes). Spoon 3/4 teaspoon of the red gelatin mixture into the muffin pan cavities. Refrigerate until set, but still sticky when touched. (The first layer will take 20 minutes or so, subsequent layers will take less time.) Repeat with remaining colors. To serve, loosen around the edges of each muffin cavity and pop out the jelly shots. Immediately before serving, garnish with a small dollop of frosting and sprinkles (yeah baby!) if desired.